Hotel Catalonia Puerta del Sol, Madrid. Catalonia Puerta del Sol Hotel Madrid. 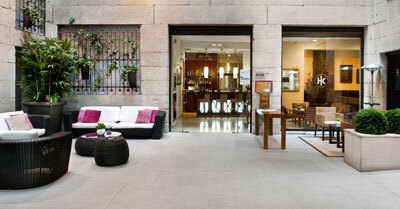 The Hotel Catalonia Puerta del Sol is situated in the popular area known as the Madrid de los Austrias. The building where it is found is particularly beautiful and dates back to the late part of the 18th century. The hotel enjoys a strategic position right in the centre of the city centre, near the Prado Museum, Centro de Arte Reina Sofía and the Thyssen-Bornemisza Museum.